When I moved from Hyde Park to Logan Square, my trips to the South Side diminished. There are so many restaurants, cafes, and boutiques in Logan Square and surrounding neighbourhoods such that there is no need to venture too far away to find anything. One thing I must admit that the South Side has are restaurants that have a southern influence. 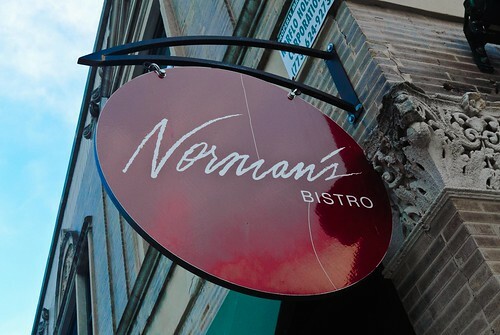 Wondering where I could find one such restaurant, Google popped up a restaurant named Norman’s Bistro, at 1001 E. 43rd Street. 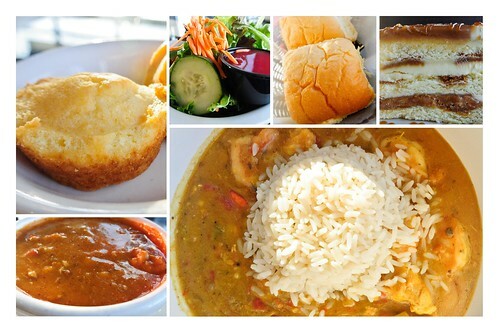 Norman’s Bistro serves New Orleans cuisine with a Brazilian influence to it. Having lived in Central Mississippi and visited New Orleans quite often, I was already sold on the N’awlins aspect of the food. I was rather intrigued about the Brazilian influence, wondering if it I would detect any of the recipes that I recalled from my days in São Paulo. I imagined that the New Orleans flavouring would stand out more, not a case of trying to have a 50-50 fusion to the recipes. There were complimentary yeast rolls. No sooner had I touched the first roll than I realized they were homemade. The texture was not anything like I have had from bakeries or grocery stores, but what I have had consistently from ovens in friends’ and family’s homes. I started with a garden salad with a raspberry vinaigrette. Nothing spectacular, but the salad was fresh, not the bowl of wilted vegetables that I often get at restaurants. For a starter, there was a cup of seafood chili. You can have your chili with chicken, beef, or pork. Although not as spicy as I prefer, the seafood chili quickly became my favourite. One dish I was curious about was the gumbo. It was a melange of corn, chicken, shrimp, and lobster in a delectable red roux. Served in a large bowl with a scoop of rice, I was either “that” hungry or incredibly bottomless because there was no way I should have completed that whole bowl. Again, not spicy in a peppery sense but packed with a bloom in flavour, I didn’t bother trying to compare the gumbo to the gumbo that I devoured in New Orleans. The gumbo at Norman’s Bistro holds its own. And the mini cornbread muffins that came with it were a big hit. Actually, they were so blooming good that I felt that the two I had were not enough. I saved up enough of one of them so that I could sop up the rest of the gravy from the gumbo. By the time I had finished the seafood chili and the gumbo, I had to let some time pass before indulging a dessert. And for a sweet, I had a slice of salted caramel cake. I can’t say whether the cake was baked in-house, or not, but I will admit that it was worth it. It reminded me of the dobo torte that I have had at an Austrian restaurant in Chicago called Julius Meinl. There were layers of cake, salted caramel, and vanilla cream. Given the layering wasn’t “mass-produced perfect,” it was clear that even if it was baked at a bakery, it was one of a kind and delicious to boot. Norman’s Bistro is one restaurant that I consider to be a surprise find. 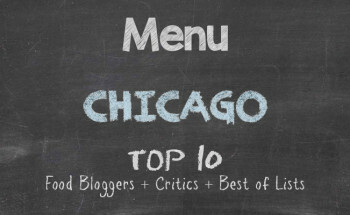 Many restaurants in the Bronzeville neighbourhood are closer to Martin Luther King Drive and S. Cottage Grove Avenue. There are a few other nice sit-down restaurants scattered throughout Bronzeville, but the far east end of 43rd Street had been void of much activity for a long time. Norman’s Bistro has a spacious interior for dining and another room in the restaurant that I imagine doubles as a spillover room for crowded evenings, as well as a party room. Service is laid back and if you eat as much as I did, the last thing you want is a server hovering over you. I can’t say when next I will be visiting New Orleans, but I will be going back to Norman’s Bistro within the next few weeks.